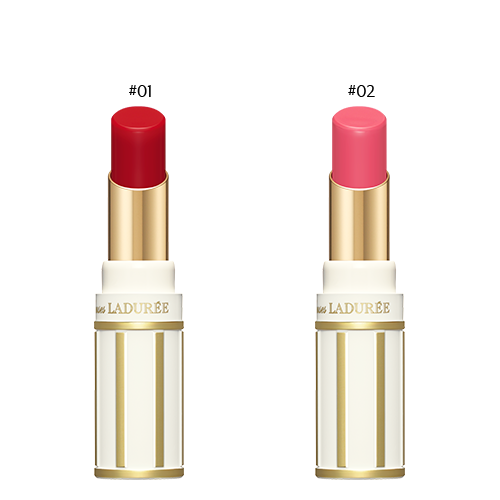 Lipsticks in shades of happiness-inducing pink, with excellent color pay-off and a meltingly delectable feel of use. 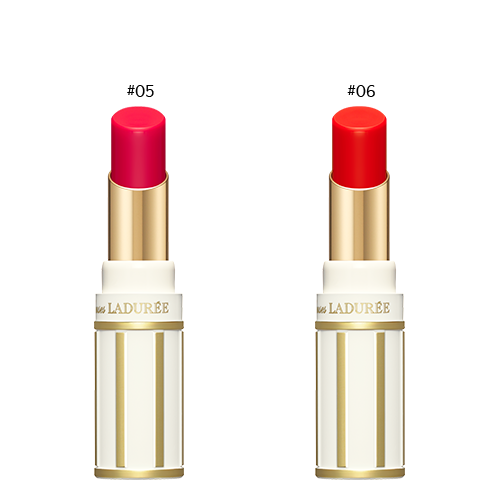 Twist up about 0.5 cm and apply to the lips. Do not extend more than is necessary as the lipstick may break. 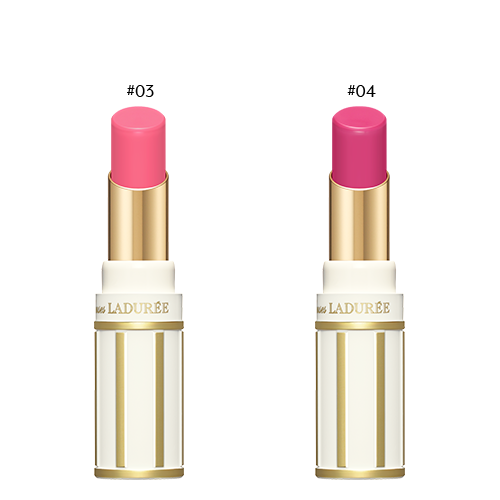 ● Lipsticks offered in ten shades of pink, meticulously formulated to bring buoyance to the wearer’s mood and expression, and highlight the wearer’s healthy glow and “beauty-in –expression.” The choice of ten shades allows users to pick their perfect pink. ● Contains a close-fitting “Fitting Paste Oil” formulated to fill any creases on the lip surface to form a smooth makeup layer with excellent color pay-off. The coating provided by the oil achieves a beautiful finish with staying power. ● Meltingly smooth consistency is achieved by the exquisite blend of “Moist-Capture Oil” that dissolves at body temperature, and an oil with superior smoothness and spread. The Moist-Capture Oil also has superior moisture retention properties, which keeps moisture from evaporating from the lips for a richly moisturized feel of use. ● Product design inspired by classical and neoclassical architecture such as the Pantheon and the Trianons. The design expresses a sophistication and aesthetic in keeping with the times of the Merveilleuses (fashionable aristocratic women in late 18th-century France), makes the product delightful to own, and brings bliss to the application of makeup. Powder Sugar & Sweets - Sweet, relaxing scent reminiscent of delightful confectionary and powder sugar, based on coconut and other sweet fragrances blended with various fruit and floral fragrances.